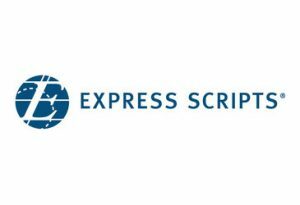 ST. LOUIS — myMatrixx, a leader in pharmacy services for workers’ compensation programs and a subsidiary of Express Scripts Holding Company, announces the release of myDataSense, an innovative and customizable digital analytics tool that will help drive patient safety and savings. The myDataSense tool combines comprehensive data, clinical pharmacy expertise and a world-class customer service model to enable clients to quickly access relevant and actionable insights. “Workers’ compensation is at an ever-increasing risk of disconnected care and unpredictable expenses,” said Mike Cirillo, president, myMatrixx. “The myDataSense digital tool allows clients to quickly visualize real-time results of their program to help ensure injured employees are receiving appropriate care. The myDataSense tool transforms data from a variety of sources, including pharmacy events, prescribers and drug references, into a highly visual dashboard that provides real-time analysis and more efficient program management. myMatrixx reported a 3.3% decrease in workers’ compensation pharmacy spend in 2017 in its 12th annual Drug Trend Report. In 2017, more than half of myMatrixx Workers’ Compensation plans reduced drug spending. In addition, myMatrixx reported drug spend on opioids declined 11.9% for workers’ compensation payers in 2017.